1. Be flexible with the time! 4. Cut down costs by partially going by land! 5. Get a credit card with Airmiles! 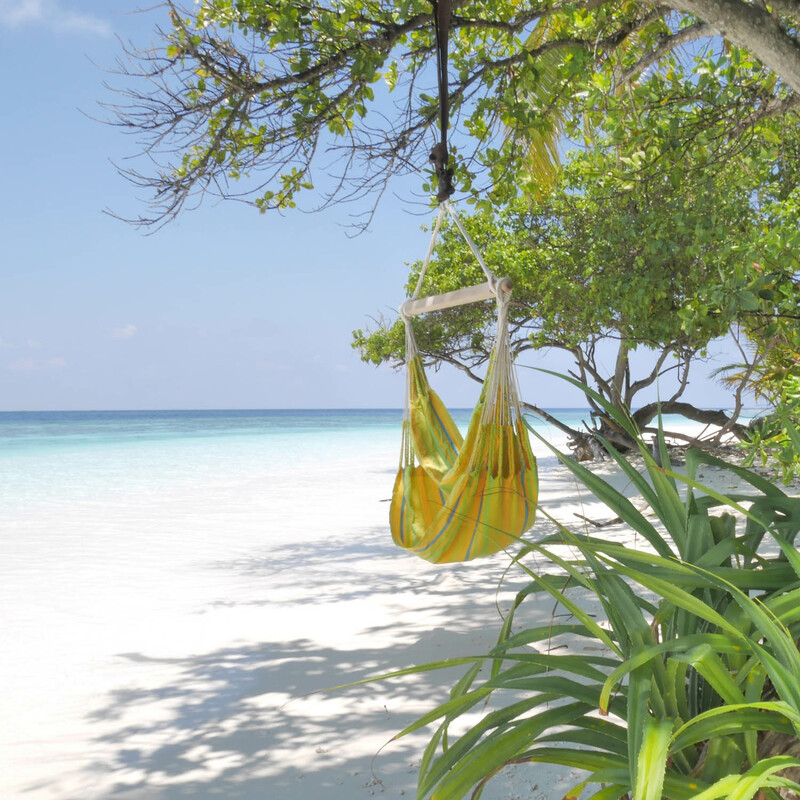 Relaxing in one of our hanging chairs from www.hammockheaven.co.uk in the Maldives. The most important thing to be able to find the cheapest tickets is to flexible and go when it’s cheap. 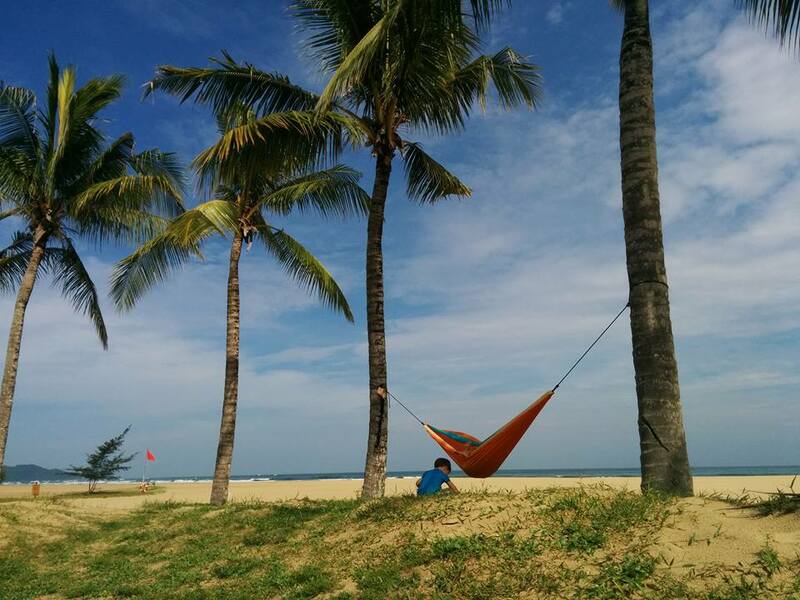 When we were in Bali in the summer of 2015 we had to go to Colombia to do something with our hammock business there. So we had to go from one side of the earth to the other. 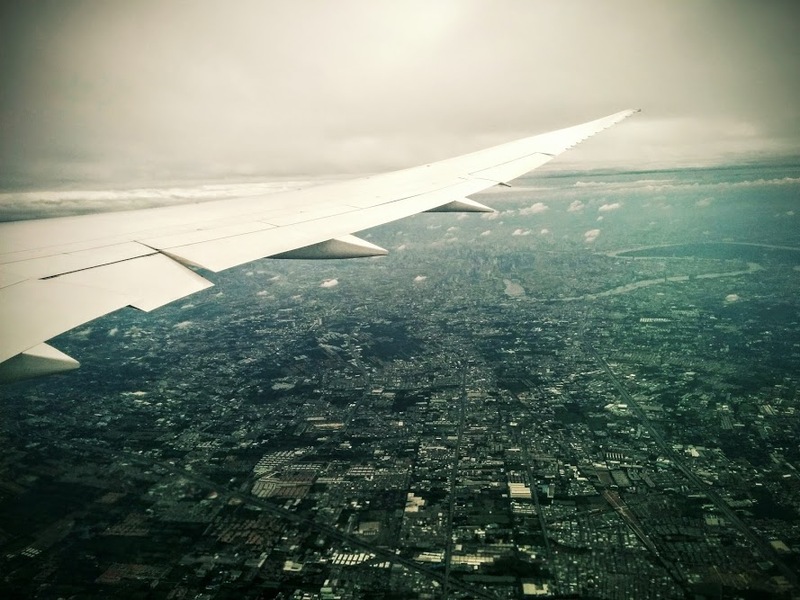 I use Skyscanner to find the cheapest way to travel. The routes over the Pacific ocean which was shown at Skyscanner when I searched the whole trip were too expensive. It costed around £4000 one way for a family of 4 so it was not an option for us. I hunted around among the options on the Skyscanner and found a cheap route via Stockholm with Norwegian. Then I kept track of when the cheapest trip would be available for us. This can be done through their “alert” tool that sends automatic emails or by searching the “cheapest month” at Skyscanner. The most important thing is to avoid traveling in the summer holidays and long weekends to find lower prices. We decided to go in September, instead of when it was summer holidays in Sweden. I booked four tickets and two suitcases from Bangkok to Stockholm for £450. Furthermore, the trip went via Brussels to Miami for £500 and then to Cartagena in Colombia from Miami for £200. Overall the whole trip costed £1150 instead of £4000 from Bali to Cartagena. By having a stop at different times and places we could then choose the cheapest flights around the dates that suited us. That it took a little extra time, but we didn’t mind because we could see friends and family on the way and explore Brussels too. Bangkok seen from the window of a Norwegian Dreamliner. Sweden: Fly to Thailand and quite cheap to the United States with Norwegian. Poland: Fly to the United States from Gdansk to Reykjavik and from there to Washington. Hungary and Romania: Fly to Dubai and Tel Aviv and other places from Budapest and Bucharest. United Arab Emirates: Fly to the Maldives and India from Dubai. Malaysia:Fly to Indonesia, Thailand and Australia from Kuala Lumpur. Miami: Fly to many destinations in South America from here. I usually prefer to let Skyscanner decide where to go just because its interesting! Sometimes we don’t know where but we have at least an idea of what the trip should be about. Some things we consider are: the climate, the price level and whether it will be a holiday in the sun, or skiing holiday, adventure-holiday or if it is a work-trip. You can find these flights by searching “Everywhere”. When we went to Egypt we flew from London to Bergamo where we took the local train to Malpensa Airport on the other side of Milan. In this way we were able to fly cheap to Tel Aviv. From Tel Aviv, we rented a car one week which was not at all very expensive at all. We got an extra holiday as we saw Jerusalem, Betar Illit, Tzur Hadassah, the Dead Sea and Eilat. We have found that it often can be cheaper to rent a car than to go by public transport – especially if you are a family or several people – so it’s definitely worth checking the price of the rental car and go by land if you need to cut down costs of the trip. We flew to Orlando from London and rented a car and continued to fly out from Fort Lauderdale once. Many major cities have several airports. It can for example be cheaper to fly into Stansted, in the north of London, and fly out from Gatwick, in the south of London. We have gathered quite a lot of airmiles as we pay our Google-advertising for our web stores www.mypashmina.co.uk , www.hammockheaven.co.uk and www.therealrugcompany.co.uk by credit card. In that way we have been able to travel for free or almost for free with our airmiles. 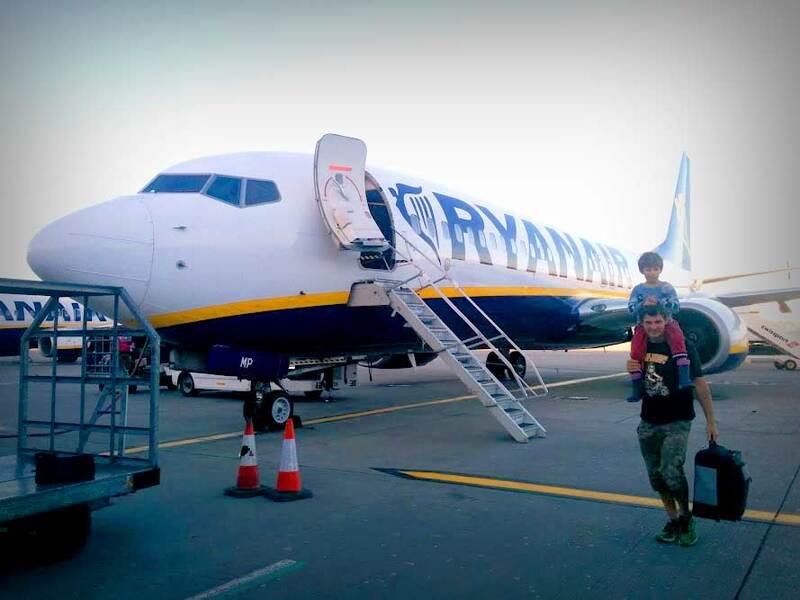 It has been a pleasant contrast to not always go with the low-cost carriers because there are big differences in the service of BA and the service on for instance Ryanair. It’s nice to go with a hassle-free airline sometimes. Sometimes there can be really good deals on the airlines websites. A few years ago, we traveled with Air France / KLM to Singapore when we jumped on their good offer on their website. On the larger airline companies’ websites usually food and luggage is also included which you should keep in mind. It may be cheaper with a regular airline than with a low cost one sometimes. Wizz Air, for example, charges a lot for luggage and you can only bring a small carry-on luggage. If you register and obtain a member card or subscribe to newsletters on the airlines websites you can sometimes get really good deals for airline tickets, car rentals and hotels. Sure, it can be annoying to get more junk mail though sometimes there is this good deal coming up. I have a separate email account for newsletters that I check occasionally. Only pay for the flight ticket and luggage (if you need to check in a bag) when you travel with low-cost airlines. Don’t pay for seats or food on board. If you don’t get a seat next to your children, you should complain because the airlines should follow IATA’s recommendations. Children should be placed next to the parents because if there is an incident the parents would look for their children and this would block the other passengers trying to get out. It has happened several times that Air Asia has placed our children in completely different seats as they wanted us to buy the seating so we had complained every time and got seats next to our children. Take a packed lunch with you if you can. It is often cheaper to buy on the ground, even at the airport. In some low-cost airlines such as Air Asia and Wizz Air, they have quite low prices though for the food on board. Try to travel with only hand luggage if you can. Most airlines allows you to take 10 kg per person which is quite a lot for a family and also if you are travelling alone. You can always buy new clothes and toiletries when you arrive if you would miss something. One tip is to pack and then remove a third. Bring a light weight cashmere sweater or pashmina that barely takes up any space in your bag instead of thick, baggy clothes. Another advantage with taking only hand luggage is that you don’t have to wait for your bag to come out on the luggage carousel. . Some airlines have cheaper rates for children and groups. Search for tickets for everyone at once. If you are searching for just one ticket you will see the more expensive price. Many airlines, however, have no special rates for children because children take up a seat anyway though they are small. Don’t use travel agents. It is unnecessary as you can find the same tickets yourself online at a lower price. The travel agency doesn’t check alternative routes either. This is best done by yourself online. Prices are often lower if you book a trip about 2 months or at least a few weeks in advance. Certainly there are last minute tickets, but when you go in and try to book they are often gone or have a different price. in the beginning and put a deadline for when you decide and then complete the purchase regardless of what the price is now. (if it hasnt gone up too much of course). Put a dead line of a few days and then make the purchase so that you can do something useful instead like planning the trip. Some airlines have poor exchange rates. It may be worthwhile to go in and see what the local price is by going in to the local website. For example, we could save a lot by booking on Air Asia’s Malaysian site instead of the Indonesian. Since Air Asia’s office is located in Malaysia the “real” price is on the Malaysian website. Do you think this article may be of use to someone else? Share if you want! Do you think something is missing or that something was difficult to understand or have comments on this article? Please comment! I answer all questions. Det här inlägget var publicerad i Tips och inspiration med etiketten Tips och inspiration.